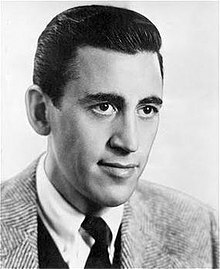 The unpublished work of J D Salinger will be published in the near future, Salinger’s son Matt Salinger has confirmed in an interview with the Guardian. Salinger, who published his last book in 1965 before retreating from public life, kept writing up until his death in 2010, confirmed Matt Salinger. Until now, the J D Salinger Literary Trust—controlled by Matt Salinger and Salinger’s widow Colleen O’Neill—has declined to confirm whether or not unseen Salinger writings exist. The new works, yet to be seen by the public, will be published with the approval of Salinger’s family, unlike Three Early Stories (Text), a collection of works that were written before The Catcher in the Rye was published but never registered to Salinger. The Devault-Graves Agency acquired world rights to Three Early Stories after learning about them in the unauthorised 2013 documentary Salinger. Matt Salinger and O’Neill have reportedly been readying the work for publication since 2011, with Matt Salinger confirming that ‘all of what [Salinger] wrote will at some point be shared’ over the next decade.